Why Can’t All Teachers be Like This? I saw this video on Gizmodo.com today and I knew I had to repost it here. This clearly a teacher that is passionate about what he does and a great example of how to Geek properly. Dropbox is not exactly new, but I just got around trying it last week. The idea is simple, you sign up and you get 2 free gigabytes of online storage. There is a small program that you install on your computer that creates a Dropbox folder in your documents. Any file that you put in the Dropbox folder is synced with your online storage, which is available by signing into their website from any computer on the internet. In addition to being available on their website, your files are automatically synced to any of your other computers with the Dropbox program installed. There are also apps available for Android, iPhone and Blackberry to access your files on the go. You may also share individual folders in your Dropbox with others if you need to give someone access to a file that is too big to email. 2GB is not a huge amount of space, but there are higher capacities of storage available if you are willing to pay. Signup at the link below and receive an extra 256 MB of free storage for being referred from Baregeek.com. An article posted over at Gizmodo.com reminded me how lucky I am to be married to my wife. The common misconception is that you need to find someone that shares your interests. In reality, comment interests are good, but all you need to do is find someone that is willing to put up with your geekiness. If you get lucky, you interests may rub off on each other and you can both enjoy new things. No, I am not quite ready to pickup a crochet hook, but my wife now enjoys playing video games with me and will try eating just about anything at least once. She trusts me to take things apart around the house and even when she has no clue what I am doing, she asks questions to learn and is supportive. Check out the original article here. If you can relate to the feeling that the commenter had in the article, you too just might be a Geek. I play video games and I enjoy it. The truth is, many of you do too. Unfortunately, video games have a fairly negative perception by some people and the media in general. The overall feeling is often that they are childish, a wast of time and tend to be violent. Yes they can be violent, however so can movies and books; it is up to parents to set limits as they would with anything else. As for the waste of time, studies have shown that video games can improve hand eye coordination and problem solving skills. If you don't believe me feel free to use Google, I spent enough time doing bibliographies in college that I refuse to always do so on my blog. And now for something completely different. I like to cook almost as much as I like to eat. However, I am not much for following cook books. I prefer to raid the pantry, make a mess, and give it a go sans recipe. More often than not, it works. My wife and I are usually pleasantly surprised, but also disappointed, because I usually cannot reproduce my accidental success. One of the things I have learned from my chaotic culinary creations is the ability to mix and match flavors. I have a better understanding of what goes well together as well as a gift to know what flavor is missing from a dish after a taste. More often than not, proper seasoning is enough to bring out the best in the most bland of bites . However, for the especially flat flavors (I promise, I will not try to cram any more alliteration into this post), I have a secret weapon. Vinegar. It comes in many colors, flavors and sizes, but generally speaking, the acidic punch of vinegar will brighten the flavor and bring the dish to a whole new level. Back and better than ever! I started BareGeek.com as a project that I was extremely excited about. I had material, I had ideas and I had the drive to make it happen. Unfortunately, I got very busy with work and completely lost my drive to keep writing. On top of that, I was disappointed with the overall design of the site and was not getting much in the way of readership. In all honesty, the information I presented was helpful and occasionally interesting, but overall rather dull. Don't get me wrong, some of the topics were fun, but it felt too much like a computer self help column. This not what being a Geek is, nor is it what I set out to do. Starting today, you will notice a whole new look and feel to the site, but even more than that, you will notice a whole new take on the content. The fact that my most widely discussed article was on a slow cooker should have sent off warning bells in my head. Yes I am a computer geek, but I am also a food geek, a gamer geek, a movie geek, a camera geek and a nature geek. My interests are not restricted to computers, so why should my writing. I set out with the idea that geeks come in all different flavors and then proceeded to pigeonhole myself into being a computer geek. Don't get me wrong, I still want to provide tips and tricks like I always did, but I also want to broaden my scope. With that, I hope some of my other partitions of Geekiness will interest you if the computers did not do the trick. After all, we all are geeks about something. As always, please make BareGeek.com a regular stop on your internet journey, take a break to comment and share the love! These are my top 5 gadgets that not only do I enjoy having in the house, but also come with a high W.A.F. (Wife Approval Factor). To summarize: Dyson Vacuums are fantastic an you will be amazed at how much they get out of your carpets. The Coffee Maker is our newest gadget on the list and my wife and I love both the ease of use and the delicious coffee that it produces. Read my review of the slow cooker for more details. The KitchenAid 600 series has the capacity and power to take on any task from mixing to pasta making. The Harmony One made it on both this, and my other top 5 list, due to the fact that it is so powerful and makes any complicated A/V setup easy to use. Is Your Facebook Page Secure? Lately, facebook's security settings have been getting worse rather than better. In order to introduce more features, Facebook's developers have made it easier for your personal information to be available on the internet. This move has taken much criticism from technology experts and news agencies alike. Even if you go through the settings yourself, you may miss some important settings that could allow your personal information to be shared with everyone. A good defense starts with a good offense. If you are particularly worried about something getting shared with the world, you probably shouldn't but posting it on facebook to begin with. If you are like me and want to give your facebook page a security checkup, head over to http://www.reclaimprivacy.org/. There you get a link that you can drag up into the shortcut bar of your browser. You then can log into you facebook page, click the link and view the results. I thought that my settings were pretty secure, but I found that I had missed a few things. Take a few minutes and follow the information on http://www.reclaimprivacy.org/ to start your checkup. It is a good day when you find something new to do with technology that you already own. Today, had one of those moments with my laptop. 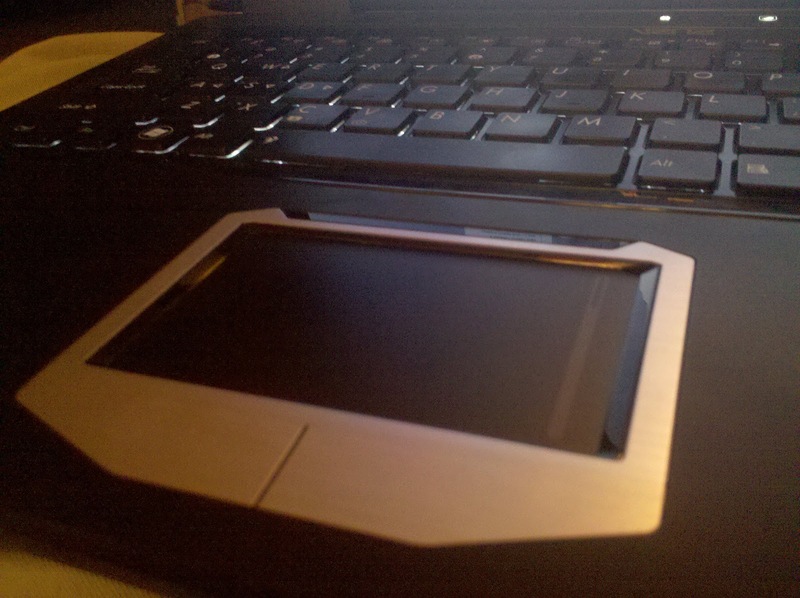 If there is one thing I know about most laptop owners, its that they can't stand using the built in touchpad for any length of time. Now if you are like me, you have gotten used to it and don't mind it, but you still reach for a mouse when you can. Even if you like your touchpad, you will have an even better appreciation for it after reading this. Most of the time, we type what we want in Google, search through a list of results and hope to find what we are looking for. However, there are times when you might want to be a bit more specific and clarify what you are looking for. Google has built in features that let you exclude terms, search for exact phrases and even search for items on any web page. Rather than typing up all of the different features and their descriptions, you can view them all on Google's own tip page found here: http://www.google.com/support/websearch/bin/answer.py?hl=en&answer=136861. If you want a good example of how quotations help, search for your first and last name and then search for your first and last name in quotations. (John Doe v.s "John Doe"). You are much more likely to find material relating to you when you use the quotation marks. This is because you are searching for your full name and not just the words that make up your name. It takes a bit more work, but using these techniques can save you time in the long run. Being in the technology field, I often get asked about the latest and greatest devices to hit the market. The newest item to be shown by the media is Apple's iPad. If you have not yet seen it, the iPad is basically an over-sized version of the iPod touch. Or, a large iPhone that cannot make calls. The price starts at $500 and goes up to $830 for the top model. The iPad goes on sale Saturday at 9:00 AM. While I have yet to see an iPad, I have followed the pre-launch details very closely. I am looking forward to trying it at some point, but I would like to offer my predictions and opinions prior to launch. First off, it will be successful. Apple has the advantage of a very loyal group of fans and a fantastically successful marketing group. If they launched a coffee maker, people would line up to buy it. Expect people to notice them, stars to hold them and stores to sell out of them. Secondly, it is something new. While touch screens and even tablet computers have been around for years, this is the first attempt that any company is working to market a device this size solely for the purpose of consumer entertainment. Because of this, it will recive much attention and analysis. Lastly, there will be waves of competitors and this will be the first of many options for touchable tablet computers. Last.fm is quickly becoming one of my favorite websites. The concept is simple, you type the name of a musician or a genre and music by and similar to what you selected is played until you choose something new. You cannot select individual songs, but you can skip to the next song and mark which songs you like and what songs you don't want to come up again. They have both old and modern music and everything from classical to reggae. Where last.fm really starts to shine is when you create your own free account. With your own account, last.fm will keep track of what you listen to and what you skip. Based on your patterns, it will tailor your music selections to what your listening patterns are. Also, the website will store your most recently searched "stations" on your front page, so that you may go back to the ones that you liked. Last.fm is not only available on your computer, but also the Xbox, iPhone and Android phones. Sorry for the delay in new posts, I have been busy getting caught up on some personal tasks the past few days. Stay tuned tomorrow for something different and new! As always, thank you for your continued visits. Never have more than one antivirus program installed. Not only does it not offer you more protection, the programs often can conflict with each other and bring your computer to its knees. In fact, if you get a virus, both programs will try to simultaneously remove the virus and this could render your computer unusable. I know I posted about Microsoft Security Essentials being a great antivirus program, but you may wonder why I am not recommending a full security suite that has antivirus, spyware protection, a firewall, phishing filter, popup blocker and all of the other fancy features that the major antivirus companies advertise. The truth is, Windows has all of those extra features built into it. Typically, the full security suites replace Window's built in protection with their version. They do this with varying degrees of success, but they almost always use more of your computers resources. I have not yet found a program that is worth the price and the loss of resources. All you need is a good antivirus program that also scans for other types of malware. Security Essentials is just this. Microsoft Office is a must have program if you want to write any type of document or presentation. Well, not exactly. The truth is, Microsoft Office Documents are what makes the business world go round, but that does not mean that Office itself must be the set of programs to open the documents. While I would argue that Microsoft Office is by far the best office suite available, it is not always the most affordable. Enter Open Office. Yes I know, I haven't gotten to many product reviews, but the truth is, writing a good review takes time and I do not want to skimp on the details for the sake of getting the post done. I am hoping to have a new one ready for next week. Be as specific as you can, model numbers for products work great. Never put too much faith in one review, instead look for trends among many. Always consider your source. While reviews always have some subjective aspects, a website that is dedicated to the downfall of Apple is not the best place to learn about the newest iPod. So I am writing from my phone not because it is easier or because I am out some place away from home, but rather to demonstrate how far technology has come. I know, this is nothing new to most of you, but I am doing it to make a point that you may have not ever considered. If you go back 10 years ago, cell phones did not have touch screens or access to the internet. In fact, they did not even have color screens. The ability to write a blog post on a cell phone required an almost innumerable number of advancements in technology to make possible. This was not done in a day. In fact, many of the advancements that it took to get here were relatively small, but it is the accumulation of them that makes this post possible. Again, nothing new if you think about it. As someone who spends his days around technology and those that use it, I commonly hear frustration whenever anything on a computer changes. Whether it is design, features or functionality, people tend to resist change. However, you cannot get from black and white screens to blogging in bed without changes. Rather then approaching technology as if it should conform to your experience, keep an open mind and explore what is new. If you do this, not only will using a computer be easier, but you might learn how to do something new in the process. A network backup is not exactly different from the previously mentioned file or system backups, but rather it is a different method for doing either type. Both the file and system backups require you to plug in some sort of storage device to the computer that you would like to backup. With the network backup, you use another computer on your home network or a network attached hard drive to hold all of your backup data. The hardest part of this type of backup is getting the proper equipment and setting it up. One advantage is that your backup is always physically separated from your main computer, but the biggest advantage to this method is that you can backup multiple computers to one location. This is great for those households or small businesses that have multiple computers that all hold important information on them. A few days ago I wrote about how to back up just your files. While that is a good start, a full system backup is a better option for most people. With a system backup, you can have a new hard drive installed in your computer and get everything back the way it was with a few clicks of your mouse. 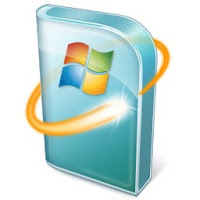 With this method, not only are your personal files backed up, but your entire operating system, installed programs and any other files are duplicated. Yes, I said this week I would cover three main types of backups. Yes, I have only covered one. There are still two days left! First, I have to come clean about something. Something I am not proud of. Something not many people know about. I have a problem. I like mice. 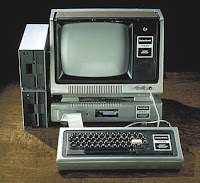 Not the little furry things pictured here, but the kind that you use to control your computer. Well, not the kind you probably use to control your computer, but the kind that you could be using to control your computer if you are as big of a Geek as me. Downloading music has changed many times over the past 10 years or so. Some music could only be played on some devices. Some music seemed free, but then became better known for costing people thousands of dollars in law suites. Today, the biggest source of legally downloadable music is iTunes. For iPod owners, this is the most direct and easiest way to get your music. However, there is a great alternative for both iPod and non-iPod users alike. A file backup is the absolute most basic type of computer backup that you can do. The idea behind a file backup is to make sure that your most important files are located at least one place outside of your computer. In fact, if you copy your files onto a website, portable device or another computer, you are already doing a file backup. None of your programs are backed up by this method, so you need to make sure you have all of the disks or downloads saved to reinstall your programs. 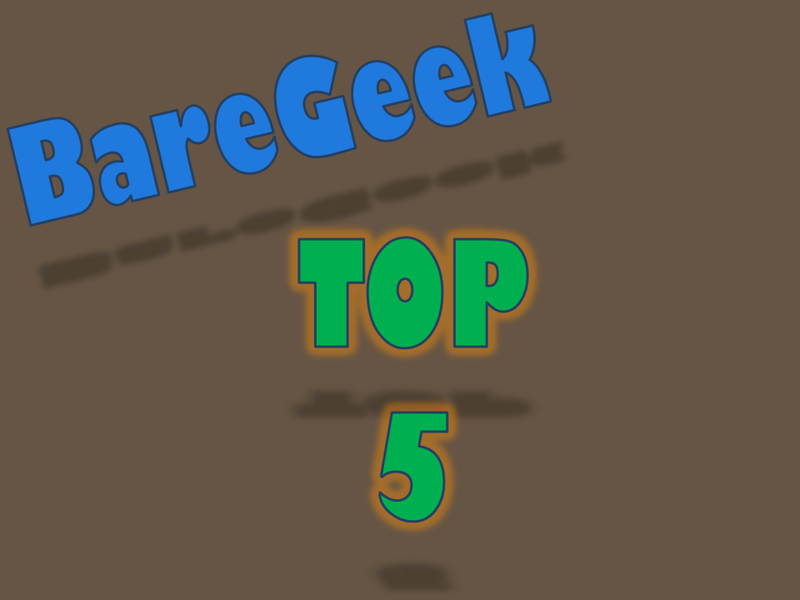 A top 5 sounds better than a top 6 list, but I could not leave off my awesome USB monitor. I would love to do reviews of all of these products, but just in case I do not get to it, I strongly approve of all of the above products. The estimated annual failure rate of hard drives is typically believed to be around 3%. This means that if you put 33 people in a room, with computers of any age, at least one of them will loose all of the data and programs saved on their computer this year. The truth is, the part that stores your data, your hard drive, is one of the most likely components in your computer to fail. Because they spin at such a high speed and are extremely sensitive to shock, your hard drive will often give out long before the remainder of you computer does. Today on Lifehacker.com, one of my favorite blogs, they shared a great website for creating your own abstract art. The website is here. There are a few sliders at the bottom that let you control different aspects of the drawing tool. By playing with them, you get all sorts of different effects. I have little talent when it comes to art, so I find playing around with this website to be quite fulfilling. I can't stop. In fact, I probably spent more time playing with the picture for this article then the article itself. Enjoy, and don't say I didn't warn you. People often joke that computers are out dated the day after you buy them. More often than not, I hear the argument of, "It still works, so I don't need a new one". These are both ends of the computer replacement spectrum. To better understand this debate, you have to first better understand the concept of what a computer is. Many people look as computers much in the way they do appliances or cars. You pay a high price, they depreciate over time and you use them until they no longer work. While there might be newer versions out, the old ones will still wash your clothes, cook your dinner or get you from point A to point B. It is very easy to make the comparison and I can completely understand how this would make sense. This gets even easier to justify for someone who uses their computer for little more than email and the internet. Either way, taking this approach to computers is fundamentally flawed. Technically Monday marked my first week writing for the BareGeek blog, but I have not gotten around to finishing this article until tonight. I plan on checking in regularly to discuss my experience blogging as blogs themselves are a type of technology that others may be interested to learn about. Setting up the blog was easy. Picking my topics has been a piece of cake. I even have a long list stored up of ideas to keep me going. The hardest part has been the writing. It is time consuming and I have to constantly remind myself to stay focused on each topic. Some nights I can write with ease, others I am distracted and barely make any progress. Blogger has a great feature that lets you sit down and write posts that you can set to post at a latter date. This lets me write a lot when I am focused and then have it post at some point in the future. I am getting faster at putting ideas together, but it can still be difficult at times. Whether you have heard of HTC, or not, you probably soon will. In years past, HTC has made cell phones that were later re-branded by many major cell service providers. More recently, they have been selling smartphones under their own brand name with great success. Their phones are available on almost all of the major carriers and run either Windows Mobile or Google's Android operating system. Today, Apple filed suit against HTC claiming that the majority of their phones infringe on 20 of the patents that Apple holds. Most of the patents are vague and will be difficult to clearly enforce against HTC. Apple is asking for triple the damages and for an injunction on all sales of HTC phones. Apple has alleged similar violations against Nokia and Palm, but has not taken such extreme action against these companies. It would, on the surface, seem that Apple is looking for money, but the truth is, they are gunning for much more than that. Make no mistake, this post is full of opinion. However, my opinions are based in fact and my experience in the field of technology. I have extensive experience and certifications on both Windows and Apple products. Advertising would have you believe that you have to be an Apple fan, or a fan of Microsoft's products. The truth is, both are important technology companies that excel in different areas. Most Mac users would tell you that Microsoft Office is one of the better word processing programs available to install on their Apple computer. Many PC owners would tell you that their Apple iPod works well with their Windows PC. These are just a few examples of how these two companies have products that play nice with each other. 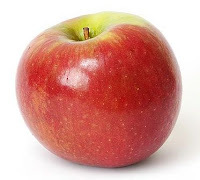 In fact, a recent report found that 85% of households that have an Apple computer, also have a PC. This is not a huge surprise as it was also reported that Apple only has a 7.4% market share of computer sales in Q1 of this year. If all of this is true, why does there seem to be a huge line drawn between Apple and Microsoft? If you have used computers for years, you probably remember everyone telling you the importance of defragmenting your hard drive to keep your computer working fast. Defragmenting, or defrag for short, is the process of reorganizing the information on your hard drive so that files open quicker. In the image to the left, you can see a demonstration of how this process works. Because hard drives have moving parts, the farther your data is spread apart, the longer it will take to open files. Defragmentation puts pieces of files together and moves all of the data to one portion of your drive. However, you probably have not had someone tell you you should defrag your hard drive in a long time. Why is that? In the spirit of sharing good free programs, today I would like to talk about a great application that I have used for years. The program is called GIMP. GIMP stands for GNU (meaning free software) Image Manipulation Program. It is a big fancy name, but when you get down to it, GIMP is a great alternative to Adobe Photoshop. Or if you prefer, a much fancier version of Microsoft Paint. What is it good for? both Photoshop and Gimp are good for three main categories; image editing, image combination and creating original art. This means you can do everything from clean up a photo, cut people and items out of photos, combine multiple photos or "paint" a picture. Your success at using either program will greatly depend on your artistic talents. Which means that I can use it to draw a pretty solid tic tack toe board and not much else. I know the ins and outs of the program quite well, but I am no artist. Be Our fan on Facebook! I received a request today to have the option for new blog posts show up in a Facebook feed. 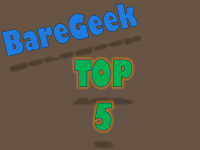 Search Facebook for BareGeek.com and become our fan if you want to see the posts in your news feed. All I ask is that you come back to BareGeek.com if you have comments on the article. That way those that are not following on Facebook can participate in the discussion. Each article on the Facebook page will have a link at the bottom back to the actual blog post. Enjoy! I know, I know, a serious chef would scoff at the use of a slow cooker. And yes, my first product review on a technology based blog is for a slow cooker. However, the Hamilton Beach Set 'n Forget® 6 Qt. Programmable Slow Cooker is no ordinary slow cooker. If Iron Man were a kitchen device, he would be this one. Let me give a short back story at why we purchased this device. My wife and I both work, but we both love to eat. Very early in our marriage we instituted Slow Cooker Mondays due to the fact that my wife goes into work late on that day and can prepare the meal before she goes in. We had a joke for a while that on any given Monday, either the Slow Cooker or my wife would "win", depending how the meal turned out. There were some gruesome brownish meals that came out of our first slow cooker and my wife seemed to be loosing the Monday Night Throwdowns more than she was winning. Well, a couple of months ago, our marriage slow cooker met an unfortunate demise in a freak washing incident. After that, everything changed. 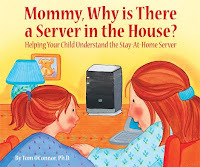 I constantly get asked about whether or not it is OK to leave your computer on all of the time. The good news is that I have an answer. The bad news is it is probably as simple as you would like. Lets take a look at your options. Leaving the computer is not a bad option at all. The major downside is power consumption. If you use your computer often, leaving it on means that it is ready to go when you are. 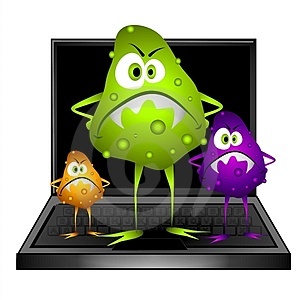 When your computer is on, it is also able to keep up with normal maintenance tasks such as virus scans and updates. Many people are worried about more stress on their computer when it runs all of the time. The truth is, very few parts in your computer are mechanical, so constantly running will have little impact on their lifespan. 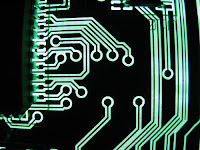 There are also studies that have shown that turning on and off a computer frequently is actually more stressful to the mechanical components than leaving it on. The other downside of leaving it on all of the time is the noise and lights. If you sleep in the same room as a computer, this is not a good option, so read on my friends. One Item, One price, when it is sold out, they are done for the day. This is the concept for the online retailer http://woot.com/. What you loose in variety, you make up for in great deals. I make a habit to check this website every morning to see what is for sale. The best purchase I have made from Woot! was a Dyson vacuum for about $300 less than retail price with $5 shipping. The vacuum was factory re-certified, but it still came with a manufacturer warranty and has worked great for almost 3 years now. As always, do your homework before making any purchases. Today works a little differently. They have a woot-off going on. During a woot-off, there is a smaller quantity of items, but they continually put up new items all day. Be quick if there is something you want to buy! The above logo is property of woot, Inc.
At first glance, the Amazon Kindle seems interesting, but a bit expensive for a single purpose device. It does not play video, it does not do much with music, it does not check email, but what it does do is remind you of the joys of picking up a good book. I used to be an avid reader, but in the few years prior to getting my Kindle, I probably averaged only 3 to 4 books a year. Last month, I have had my Kindle for a year. In that time period, I have read 37 books. My wife received a Kindle for Christmas. Since Christmas, she has read 8 books. I know several other people that have gotten Kindles and it is the same story over and over again. Starting a blog is no easy task. To get off of the ground you have to attract new readers. Therefore, I would like to know, what would you most like to read on this blog? What areas of technology interest you? Please leave your comments below. Motorola DROID Wins Big in the 2009 Engadget Awards! My newest gadget, and favorite toy, has been my Motorola DROID Smartphone. This week, Engadget.com announced the winners of their 2009 Engadget Awards. The DROID emerged as the big winner taking home 3 awards. The awards were Gadget of the Year, Smartphone of the Year and GPS Device of the Year. If you are in the market for a new phone, be sure to take a good hard look at the DROID. All too often I get asked about the "The Best". What is "The Best" computer manufacturer? What is "The Best" place to get a bite to eat around here? What is "The Best" email program? The more I am asked this, the more I realize that it is not a fair question to ask. Computer programs can be expensive. Free programs can be trouble and have hidden costs. However, there are a lot of great free programs out there and I intend to share them with you. Each program that I post here I have personally tested and researched. The first program is Microsoft Security Essentials. 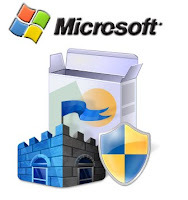 Security Essentials is a fantastic free Antivirus program put out by Microsoft. It runs very smoothly, provides excellent protection and is absolutely 100% free. This is their response to the old "Macs do not get viruses" argument. When your current antivirus subscription is up, uninstall it, download Security Essentials and never look back. Not only is your current antivirus program probably costing you money, it is probably slowing down your computer and annoying you at the same time. Many antivirus companies try to sell you protection that is already included in Windows itself. Also, a good antivirus should work well and not need to tell you every 5 minutes that it is doing so. Security Essentials fits the bill. Get it at http://microsoft.com/securityessentials. Reminder: Never run more than one antivirus program at a time.